The market has been working its way through a new-equipment glut for the past two years, and new Construction Equipment research helps explain why demand has slowed even as construction remains active. Our 2003 Universe Study reveals a marked change in the percentage of equipment purchased new: a bit more than half compared to about 60 percent in 1999. Users continue to own equipment, but they've taken advantage of the availability of quality used iron. Other data support this conclusion: The average age has gone up among machines in most of the equipment categories we counted. Equipment managers face two implications in this trend. First, buying used has proven to be a sound strategy from an availability and pricing standpoint. Low-hour, late-model machines are an alternative to new. Second, as fleet managers have integrated used equipment into their fleets, the average age has nudged up. Certainly, managers continue to purchase new machines, but overall, they are operating fleets just a bit older than four years ago. Current projects completed with machines that cost less to acquire should send more profit to the bottom line. This, as always, depends on the quality of the original project estimates, based, as always, on quality owning-and-operating costs for the equipment expected to be deployed on the project. As fleets age and used equipment is added, however, managers must pay closer attention to O&O costs. 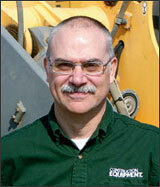 If managers extend equipment life, they must track and adjust O&O costs accordingly. Managers must also adjust productivity and efficiency numbers, which means updating the costs provided to the estimating department for use on future job bids. But the most important implication for equipment managers is the need to measure the benefits of used equipment against the technology built into newer machines. A truly accurate determination can't be made without sound cost data. Machine acquisition isn't a price-only decision. New technology will often trump quality used iron, but without the cost data, the value will be difficult to validate. Such numbers will not only allow a manager to compare productivity, but also will provide the substantiation necessary to justify a new-machine purchase.